By now, everyone has read about a hundred lists covering why Idris Elba should be the next James Bond. Fans have been told over and over again that he's handsome, suave, and British, which are all standard criteria for any Bond. There are also a great number of people who seem to think the main reason Elba should be the next Bond is because he would be the first black Bond, a movement that seems to gain more traction (and attract more controversy) as time passes, though even Elba himself has said he would not want to take on the role solely for that reason. Personally, I believe that while having a non-white 007 would be great, the main reason Elba should be the next Bond is because he would bring something different to the character that has nothing to do with the color of his skin. Seven actors have played Bond throughout the course of the series' 53 year history, and each one has brought something new to the role. Sean Connery as the originator mixed his macho bravado with stylish sophistication. For George Lazenby's lone film, the character became more of a romantic. Roger Moore turned Bond into a winking quipster by playing up the character's humor and irony, so much so that when Timothy Dalton took over the role, he went so far in the other direction that it looked like it pained him to even crack a smile. Pierce Brosnan was almost too handsome and charming to be Bond, as if he were created in a laboratory by Eon Productions, while Daniel Craig brought a brutish and menacing quality to the secret agent that fans had never seen before. Which brings me to what Elba could be. Let me get this out of the way: Elba is old. OK, he's not that old, but at 43 now he's looking at a late start at playing James Bond. If Craig is indeed done and the series is in need of a new actor, there's likely going to be a four year wait before the next film, just like the gap between Brosnan's last movie and Craig's first. That would make Elba 47 years old in his debut, which would make him the oldest Bond to ever to take on the role, beating out Moore by two years. And although Elba obviously wouldn't be the first older Bond (Moore stayed on until he was 57), he could be the first to actually address his age in an interesting and realistic way. When Moore was hobbling around and bedding actresses whose mothers were younger than he was in For Your Eyes Only, no one in the film acted like it was out of the ordinary for a near-sexagenarian to be a lady-killing, thrill-seeking secret agent. But Elba is not Roger Moore. He makes for a much more intimidating on screen presence, and could do something really unique as an older Bond. Picture this: Elba as Bond, a gritty, over-the-hill secret agent out to prove he still has something left in the tank. He's underestimated due to his age, and because of that is able to surprise his enemies. He could even be disillusioned with his job as a spy at this point after having seen so much, but something comes along that reinvigorates the fire he had when he was younger. And yes, he could even show a taste for women his own age. Elba's run could be Bond's version of Frank Miller's The Dark Knight Returns, where an older and more bitter Batman comes out of retirement to defend the streets again (it's this version of the character that's likely inspiring Ben Affleck's older take on the caped crusader). 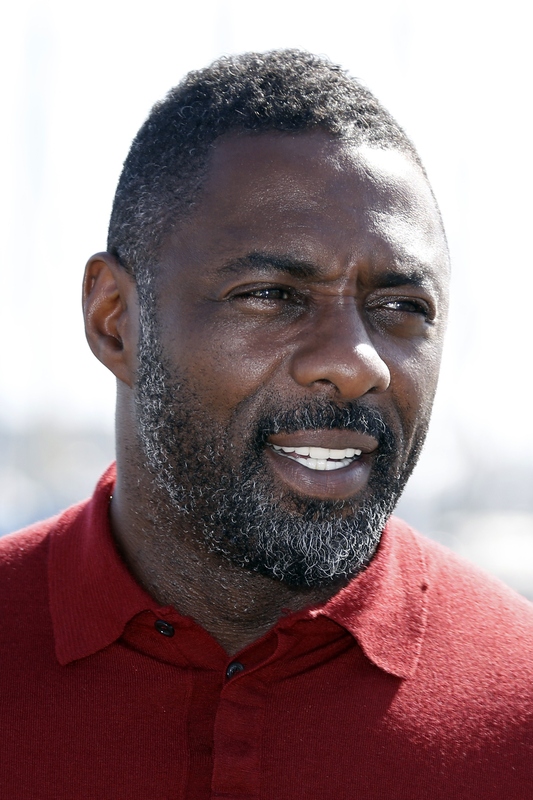 Idris Elba as an older James Bond could be just what the franchise needs as it moves on from Daniel Craig, and it could offer Elba a chance to flex his considerable acting chops in a new and challenging take on the role. I just hope he gets the chance.